Learning more about what we have to offer by contacting us any time. We are more than happy to provide additional information about our products and services. For product pricing details, service timelines, ordering information, or any other questions you may have, contact us through the form below. Please be sure to include your name, email, phone, and the specific service or product in question. You will receive a confirmation after submitting the form, and you will get a response with in 24 hours. For more details on our affordable Commerical Refrigeration Services, contact us in Raleigh, North Carolina. 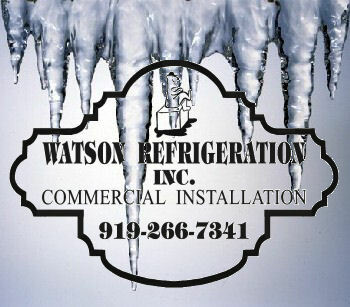 You can also contact us at (919) 212-2240, or email us at sales@watsonrefrigerationinc.com.